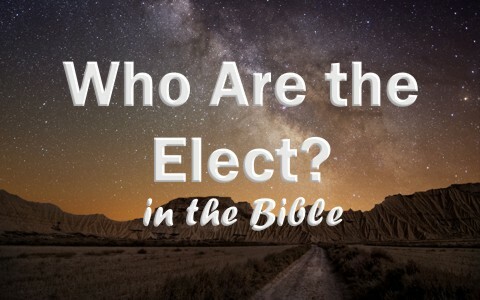 Who Are the Elect in the Bible? In many Christian circles, people describe believers as God’s elect. However, some people use the phrase “God’s elect” with the idea that God chooses some people to go to Heaven and some people to go to Hell for no reason other than He can do so because He is sovereign. The purpose of this article is not to debate that theology, which originated with Augustine and was made popular by John Calvin and A.W. Pink. Instead, we will look at who are the elect in the Bible. What does it mean to be elect? Simply stated, to be elect means to be chosen. In common usage, the word elect as a verb denotes the idea of choosing something. For example, in political elections, people are elected by the voters or their representatives. However, when asking the question, who are the elect in the Bible, the word elect is an adjective that describes a group of people. How does the Bible use the word elect? • Isaiah 42:1, God’s elect is Jesus Christ. • Isaiah 45:1, God’s elect are the people of Israel. • Isaiah 65:9, God’s elect are people that inherit God’s mountains or land. • Isaiah 65:22, God’s elect are those who inherit the new heavens and a new earth. • The elect can refer to Jesus Christ (1 Peter 2:6). • The elect can refer to the people of Israel (Matthew 24:24; Matthew 24:31; Mark 13:22; Mark 13:27; Luke 18:17). • The elect can refer to people that inherit the new heavens and the new earth (Matthew 13:27; Revelation 7). When we put all of this together, we learn that in eternity past, God foreknew who would love Him. He also foreknew that given every possible situation in your life if you heard the gospel of salvation at the right time and circumstance, you would trust Christ as your Savior. Likewise, He also foreknew there are some people that no matter what the situation or circumstance, they will never trust Christ as their Savior. This means that God in His infinite wisdom and foreknowledge, chose to make it so that at the right time and the right circumstance, we would hear the gospel of salvation and trust Christ as our Savior (Isaiah 49:8; 2 Corinthians 6:2). He also predestinated that He would put His Spirit into us and seal us until the day of redemption, while changing us to become more like His Son so that one day we could stand before Him in a perfected state just like His Son Jesus (Ephesians 1:12-14; Ephesians 4:30). With each day, as we submit to the leading of the Spirit and study His Word, God changes us to be more and more like Christ so that we would even have the mind of Christ (Philippians 1:27; Philippians 2:5; 1 Peter 4:1). With this in mind, we would be enabled to love God and our neighbor the way He loves them. This love of God, which God foreknew, was the basis by which He elected to appoint our day of salvation. As we saw in the book of Isaiah, because we are children of God by faith in Christ and He is in us, we also become the elect of God through Christ. Likewise, when we become a child of God by faith, we also become the children of Abraham and God’s elect as part of the family of Israel. In addition, as children of Abraham, this makes us God’s elect as heirs of the promises that He made to the Israelites (Galatians 3:6-9; Galatians 3:26-29). Finally, as God’s elect, we also inherit the new heavens and the new earth. All of these things are in store for us as God’s elect. In many Christian circles, people describe believers as God’s elect. However, some people use the phrase “God’s elect” with the idea that God chooses some people to go to Heaven and some people to go to Hell. The Bible teaches that God’s elect are those whom God foreknew would love Him. Given the descriptions of the same in the Old and New Testaments, God’s elect are believers that love God because He first loved them. More for you to read: What is Reformed Theology? Resources – Scripture quotations are from The Holy Bible, King James Version. (1) Strong, James. New Strong’s Exhaustive Concordance of the Bible. Strong’s number H977, Nashville, TN: Thomas Nelson Publishers, 1990. Next post: What Was The Transfiguration About?